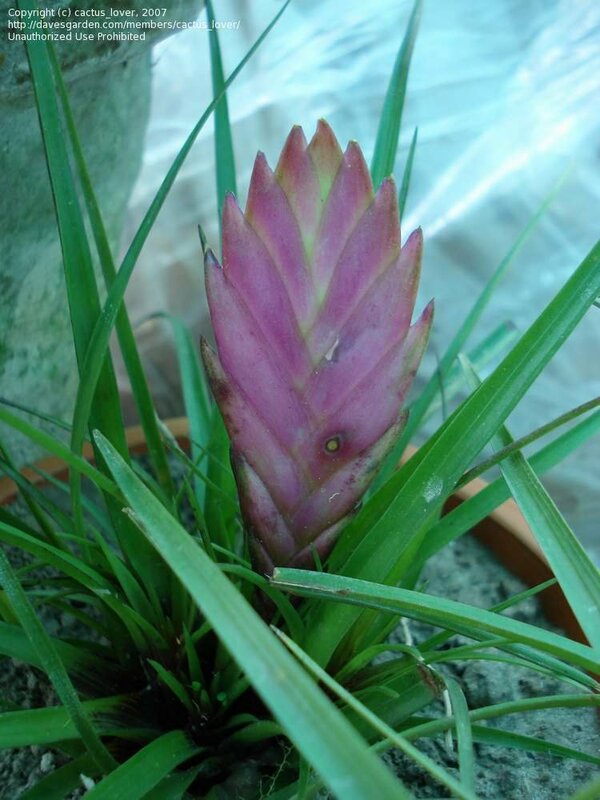 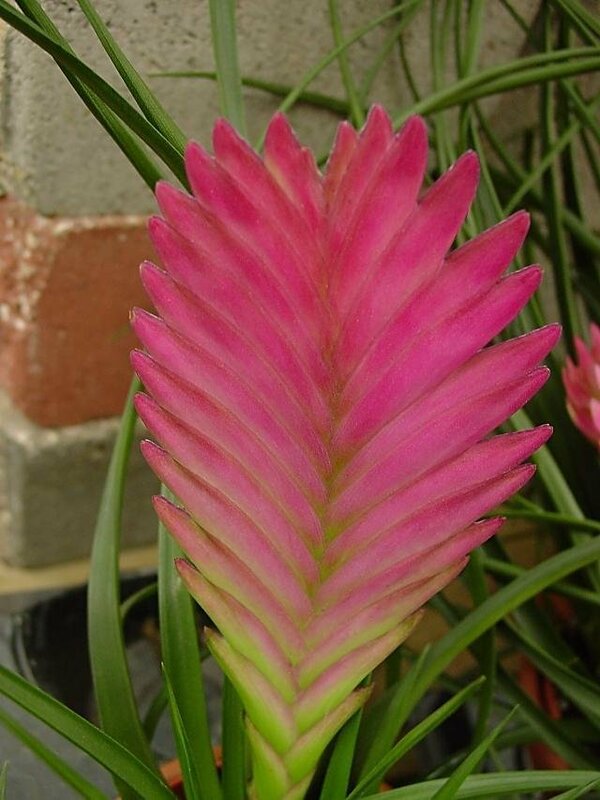 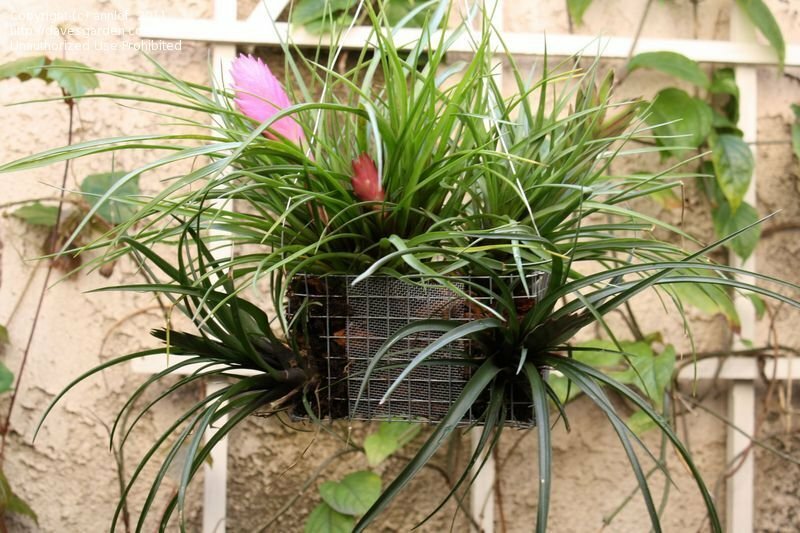 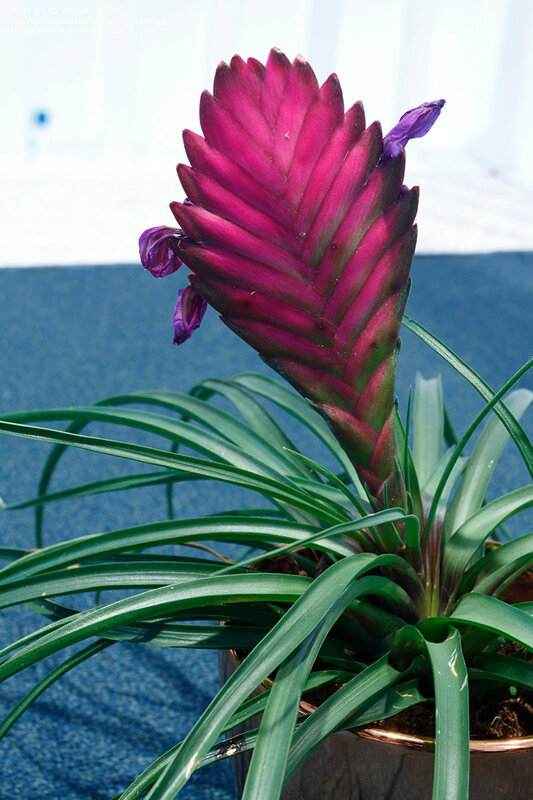 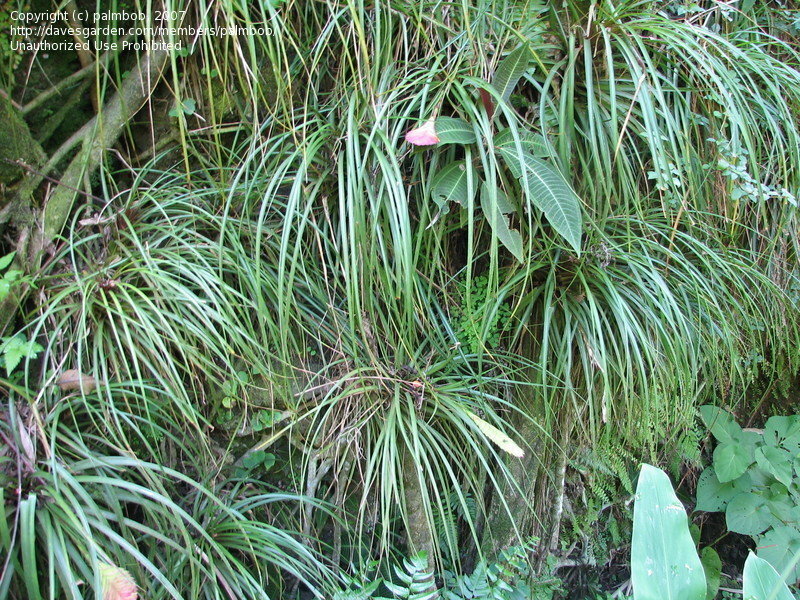 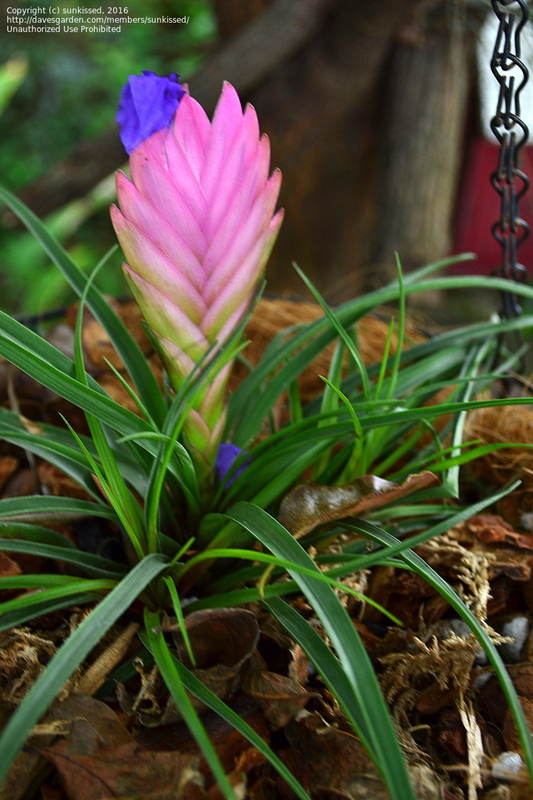 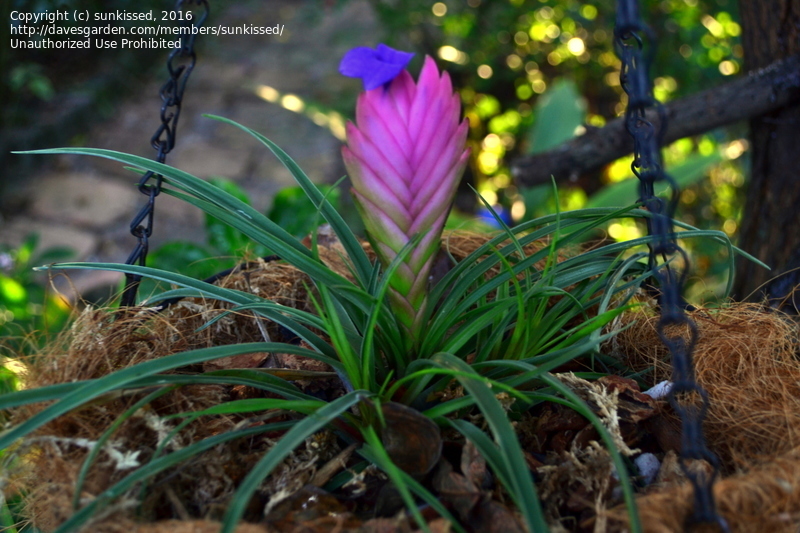 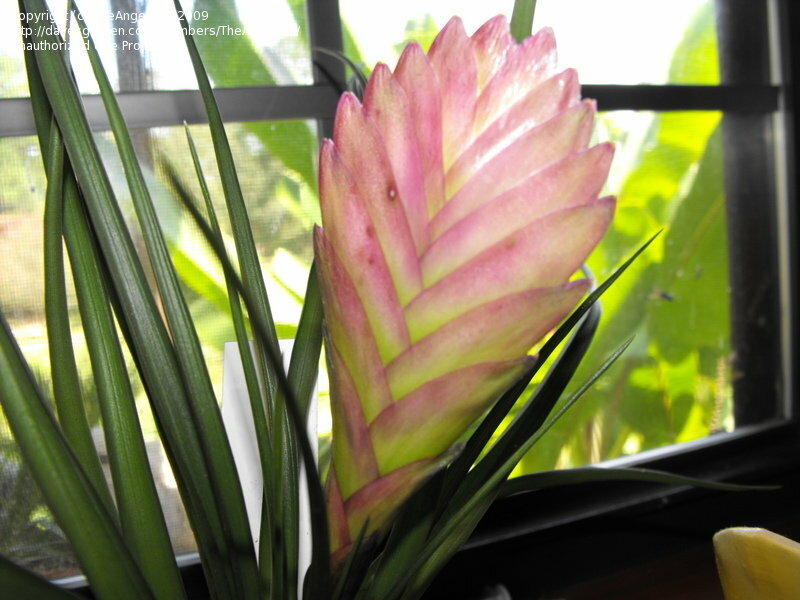 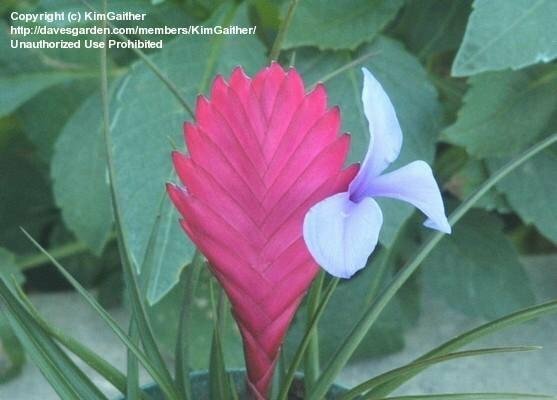 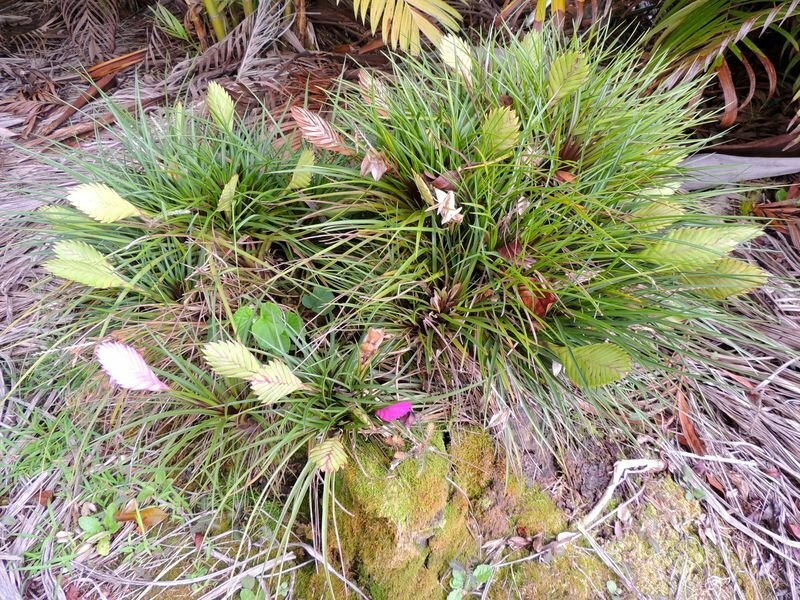 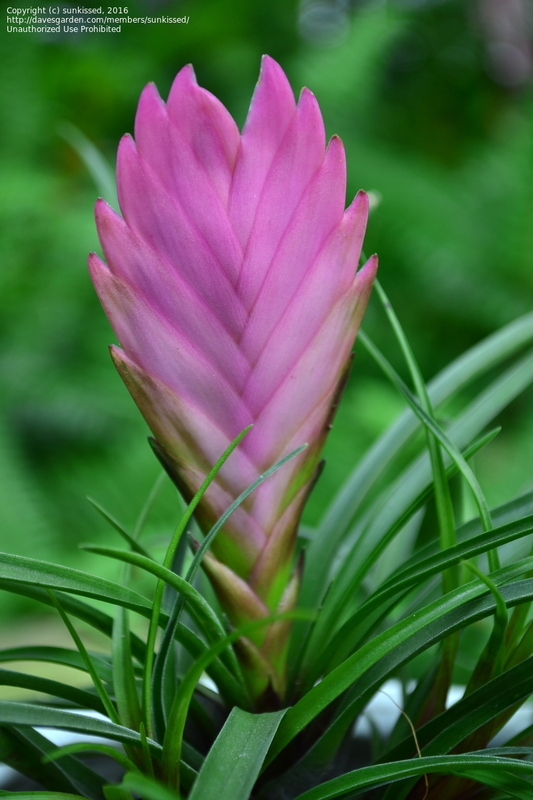 Plant cultivated in the bromeliarium of the Rio de Janeiro Botanical Garden, early autumn. 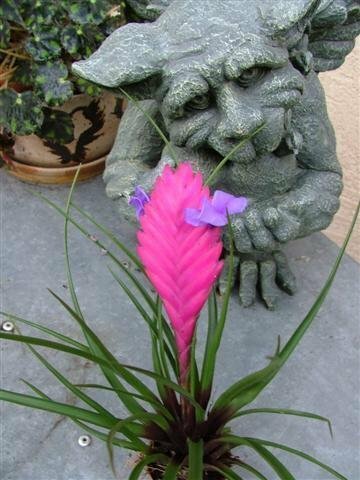 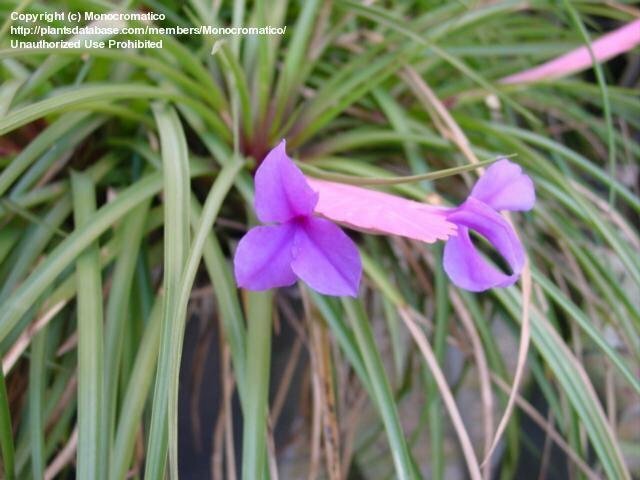 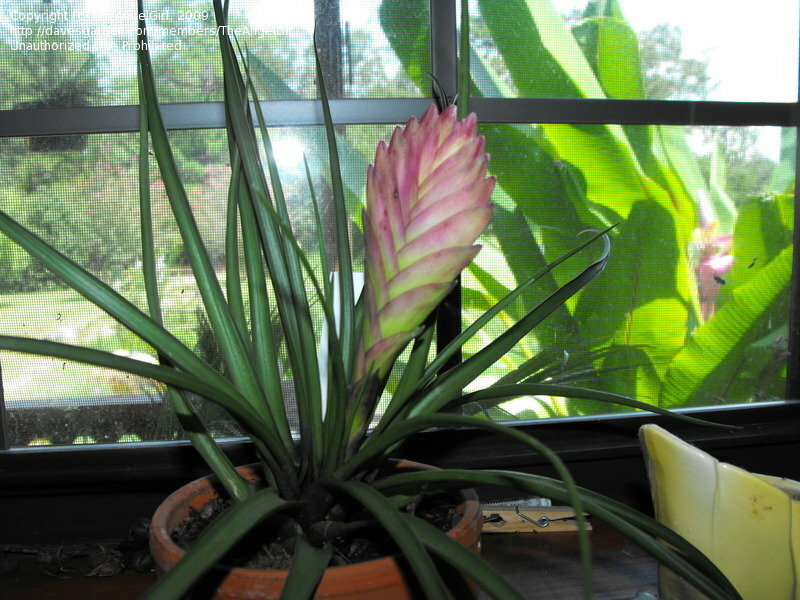 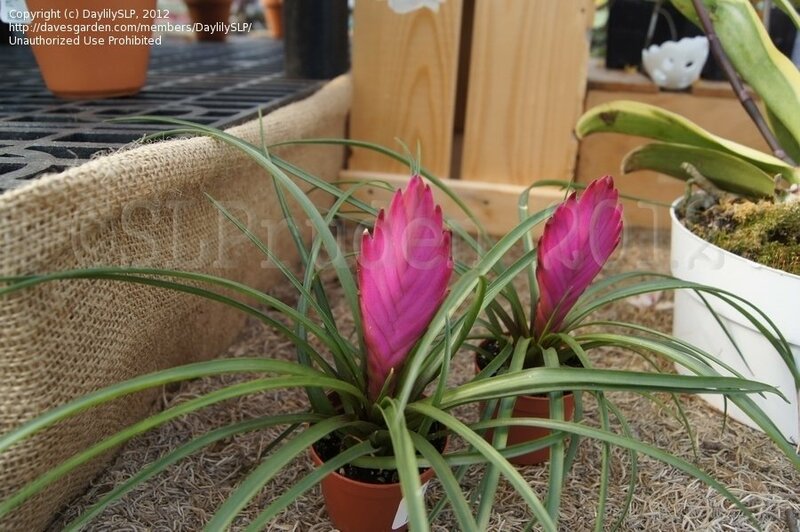 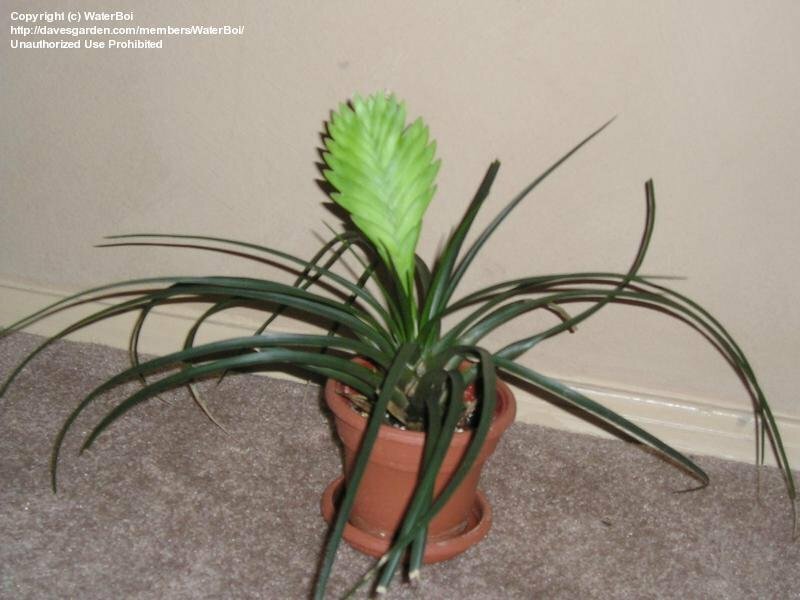 The pink bract is not the bloom. 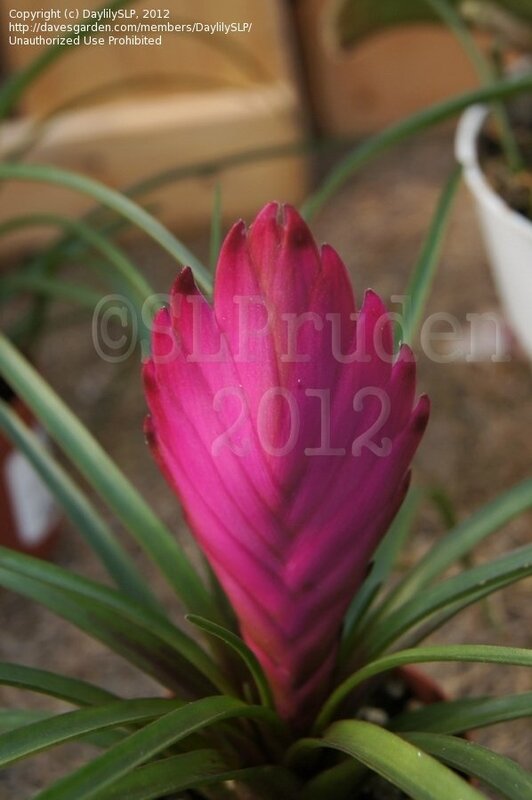 The bract with produce lavender blooms.